Buying a second hand Porsche can be a stressful, and expensive proposition. You need an expert eye to ensure you make a sound investment. 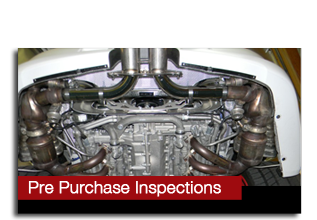 Chelsea Carrera offer you the information you need to know before purchasing your Porsche. Using our test and diagnostic equipment, Chelsea Carrera can carry out our comprehensive multi point check, to ensure you know all you need to make an informed decision about your future pride and joy!